STEM student Cristina Morocho receives an INTEL ISEF Regional award from the American Psychological Association. Click the title for more details. Cristina's Study was on the effect of gamification on test scores in middle vs high school students. 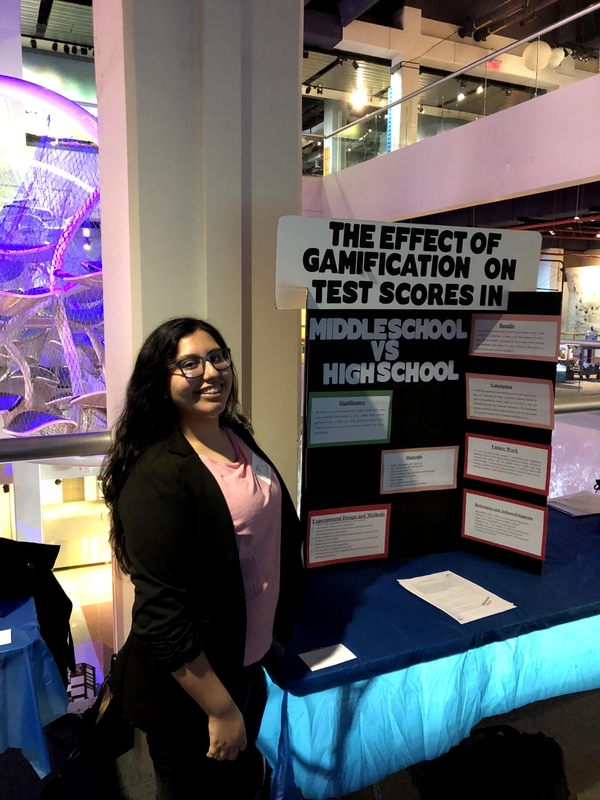 Cristina completed two studies one at Horace Mann, with help from Mr. Aguiar, and another in the High School, with help from Mr. Trifari to determine if gameified reviews benefited one group more than the other. We are very proud of her hard work and dedication.